Cloud computing is computing based on the internet. 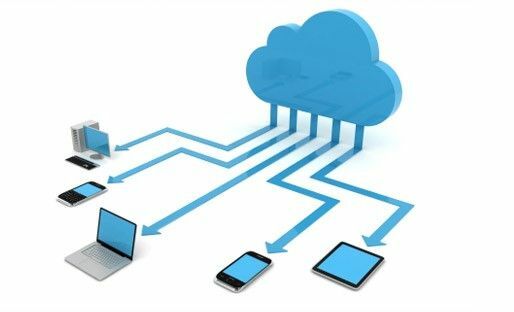 In the past, people would run applications or programs from software downloaded on a physical computer or server in their building, cloud computing allows people access to the same kinds of applications through the internet. Cloud is fast becoming the new normal. it’s even estimated that 90% of UK businesses are currently using at least one cloud service. Why are so many businesses moving to the cloud? It’s because cloud computing increases efficiency, helps improve cash flow and offers many more benefits. Check out ten of the best below. Businesses of all sizes should be investing in robust disaster recovery, but for smaller businesses that lack the required cash and expertise, this is often more an ideal than the reality. Cloud is now helping more organisations disrupt that trend. According to Aberdeen Group, small businesses are twice as likely as larger companies to have implemented cloud-based backup and recovery solutions that save time, avoid large up-front investment and roll up third-party expertise as part of the deal. The result? Businesses can offer more flexible working perks to employees so they can enjoy the work-life balance that suits them – without productivity taking a hit. Lost laptops are a major business problem. And potentially greater than the loss of an expensive piece of kit is the loss of the sensitive data inside it. Cloud computing gives you greater security when this happens. Because your data is stored in the cloud, you can access it no matter what happens to your machine. And you can even remotely wipe data from lost laptops so it doesn’t get into the wrong hands. At NCC ITS, we help to keep your business ahead of the curve, advising and implementing the latest cloud technologies, while talking a language you understand. If you feel your business would benefit from Cloud services contact us today!